In Breckenridge, Colorado, craft distillers from across the state and nation come together for Breckenridge Craft Spirits Festival 2011 Grand Tasting giving thirsty guests the chance to sample their Bourbons, whiskeys, gins, vodkas, rum and unique creations. BourbonBlog.com speaks with Bryan Nolt, “El Jeffe”, CEO Breckenrdige Distillery as we prepare to taste. Be watching for tastings and interviews with the craft distillers from the festival as we’ll be sharing them here on BourbonBlog.com. 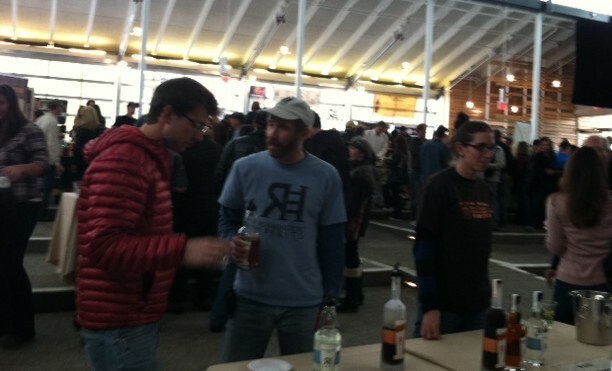 The distilleries below are part of the festival and Grand Tasting at the Riverwalk Center in Breckenridge. That looks a really great local event, and what a beautiful town to hold it in too. Win all around!